The Parachute Beetle is ideal when beetles and other terrestrials are being blown on to the water. It creates an appetizing footprint in the surface film. It is at its best during the late summer months when terrestrial insects such as beetles, hawthorns and daddies, form a significant part of the diet of hungry trout on rivers, streams and still waters. 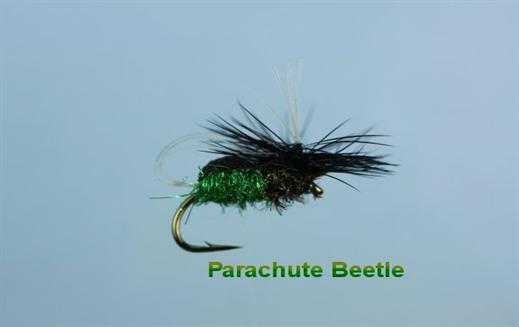 Currently there are no comments about the Parachute Beetle fly pattern from other fly fishermen yet.